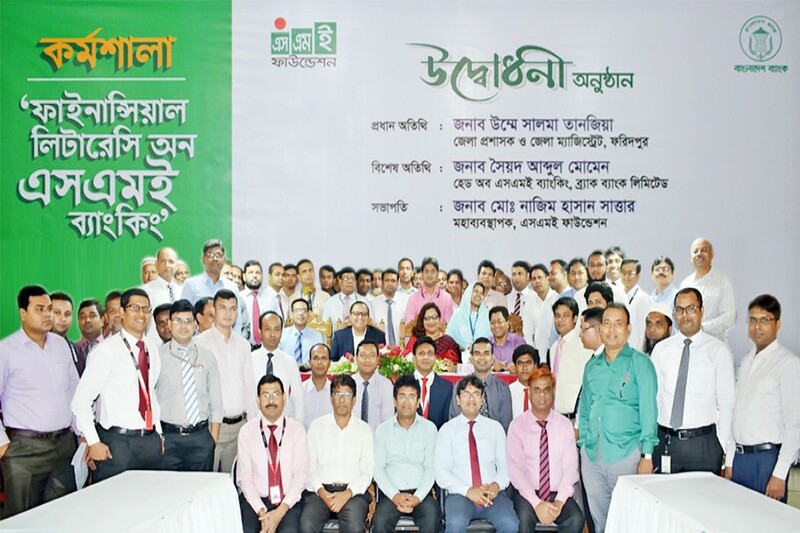 A financial literacy workshop on SME Banking was held in Faridpur recently to facilitate the SME sector in the region, according to a statement. The SME Foundation and Bangladesh Bank organised the workshop during June 05-06. Umme Salma Tanzia, Deputy Commissioner, Faridpur, was present as the chief guest at the inaugural ceremony. Syed Abdul Momen, Head of SME Banking, BRAC Bank Limited, and Suman Chandra Saha, Assistant General Manager, SME Foundation, were also present. As the Lead Bank, BRAC Bank coordinated with the scheduled commercial banks and NBFIs of Faridpur area to ensure a successful workshop. A total of 30 banks and financial institutions participated in the workshop. Published by the Editor for International Publications Limited from Tropicana Tower (4th floor), 45, Topkhana Road, GPO Box : 2526 Dhaka- 1000 and printed by him from City Publishing House Ltd., 1 RK Mission Road, Dhaka-1000.